Today is Christmas. ‘Traditional’ Christmas has been fading from my life, our lives, for years and years now, so why does today feel so very different? Crazy, and totally weird. I grew up with Christmas in my world as a family affair, even though our extended family was a continent away, it was our family thing. Not having a religion as backup in my upbringing, it was the Spirit of Santa Claus and good food and a special day to spend together, doing things that were fun and not every day ordinary. We lived frugally, never lots of money, so gifts were practical – always. These were the days of Christmas specials on TV, like Red Skelton and Bing Crosby and Bob Hope, all very sentimental and emotional days of warmth and family, the movies and the music! When I got into High School I was looking for ‘something else’ that could be hiding in the Christmas thing and started doing volunteer work every Christmas, dressing up as one of Santa’s Elves (there were always three or four of us, including ‘Santa’) and making the rounds to the big city’s psyche wards to hand out gifts to the ones that could never ‘go home’ for Christmas. That was an eye opener, for sure. Then it was off to college and coming home for the holidays, a good family gathering – as we were adults now – and the music was shifting accordingly and commercialism had escalated, so things had definitely changed. Then I ran away with Mate after college, and he had abandoned Christmas altogether having lived an extremely dysfunctional life in a Catholic household: Parochial school and training for priesthood as an altar boy…oh yeah. After serving his time overseas he headed for the South Pacific to heal up and it suddenly dawned on him one day that it was just about that time again, Christmas time, and so he asked around about local beliefs and such. They listened to his story, his questions about if they knew anything of ‘Santa’ and such, and they all laughed and told him it was a good story, but no – they had no Christmas or Santa Claus, ha ha ha and ho ho ho. And now we were hooked up, me with my ‘traditional’ Christmas memories and him with a lot of questions about ‘what is real and what is not’. We started out with some candles the first year, then a tree for the following year as I was pregnant, and then with a one year old we actually had a Christmas. For us, however, it was more about the time of year – the winter Solstice, and not the religious and material celebration of the ‘story of Christmas’, which we still doubted in its validity…what is it really all about? Well, I thought, let’s just enjoy the holidays as a time of reflection and gathering together as family, very reminiscent of my own upbringing and values. As the years went by and we were living on the farm and doing well enough, along came more kids, Christmas took on a very special ‘kid’s time’ of year, presents and cookies and games and Santa Claus and all kinds of fun and excitement – those were awesome years, we played the music and sang and gathered with friends at times, if and when we had snow we got out the new sled, funky Christmas cartoons and old Christmas movies – wow! Pretty special, indeed. Then we moved and our world changed, Christmas was never the same, as we entered into our zone of intense education in the school of hard knocks. The kids were growing up, ages six to twelve, but Christmas was never Christmas like before again, as money was always scarce at that time of year, and now were the days of big spending and grand Christmases for everyone, and our Christmas reflected nothing but lack in the material abundance department, if we had money for Christmas it went for one practical gift for everyone. Our abundance was huge during these years in the life that we lived, but money was always short. It was during these years of our huge ‘awakening’ (on all levels, duh, we are talking Harmonic Convergence forward…LOL) that the lessons we learned were about the illusions created about Christmas for the sake of commercialism, and how easy the sheeple had fallen into the ‘trap’ (look around); and also the harsh lessons of bouncing around on the bottom to break free of all of the illusions (not just Christmas) that have had us programmed and trapped. We had to go through a whole lot of dark winter’s nights pondering what it was all about, as our children grew up with all kinds of attitudes because things had changed, and they had to figure it out as well. Even though as a family unit we had adopted and embraced celebration of the winter solstice, letting the Santa and presents things go, something was still difficult for us all. The kids grew up and are celebrating the holidays in their own ways, some with their own kids that get lavished with presents, others with no kids that are adopting a more simple ‘no commercialism for us’ attitude; but the family part is all spread out, especially Mom and Dad, who are living in another country now with no blood family even remotely close. Our first Christmas here we went to a local play put on by a group of local gringos, a Christmas story ex-pat style, at the beach with coconut palms all around…wow. And a gathering of friends and their families that were here for the holidays with feasting and singing, it was very nice and special. 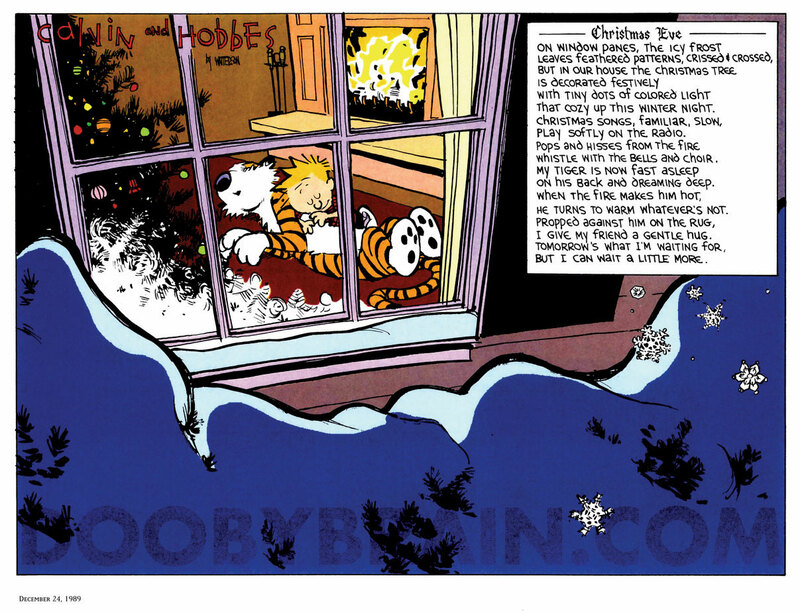 And so went the following two Christmases…and now we are here, today, and it is different. Mate is watching Donald Duck Christmas cartoons on the computer and enjoying his c.c.n.c. with some good belly laughs. Last night I tried to find some Christmas music and everything was so…how to say, over the top? The songs, the messages, the original basis for the words and the magic that they conjured through the people…it was all impossible to listen to! Until I found the music from ‘Home Alone’, which was one of the greats, and let it go from there. It is different, it is palpable, we have chosen to just be us this year at home to experience this very deeply internally, as this solstice came through as a dark week…noticeably so, as in dark outside – sin luz. Today is the first day we got up and it is light outside! Yes, the Light is shining, we are coming out of the depths of our internal darkness and a new and wildly wonderful year is just a few days away (for anyone that follows the Gregorian calendar, he he). Mate just played ‘Have Your Self a Merry Little Christmas’ and we had a Christmas dance. We will have a special dinner tonight, and the day is open for reflection and doing whatever we wish. Isn’t that what the true Spirit of Christ-mas is, making wishes – and believing them into our life? 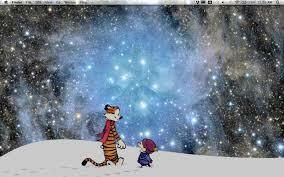 Reblogging your Calvin & Hobbes image with credit to your blog at my sister site Timeless Wisdoms. Happy holidays to you!